Privileged access to a limited circle of Swiss corporates and organisations active in Africa, and to African corporates and organisations with activities in / with Switzerland. Regular information about trends and tendencies, developments, opportunities, offers, publications and surveys concerning Africa through a newsletter and a “member-only”-access to the website of the organisation (www.sabc.ch). The website will be held in English and French language. Direct contacts to other companies, organisations and individuals active in Africa to share experience, projects and ideas and engage in partnerships between members. Participation at events organised by the SABC such as business luncheons, round-tables on specific issues and business trips to Africa. Privileged access to business personalities from Switzerland and Africa. 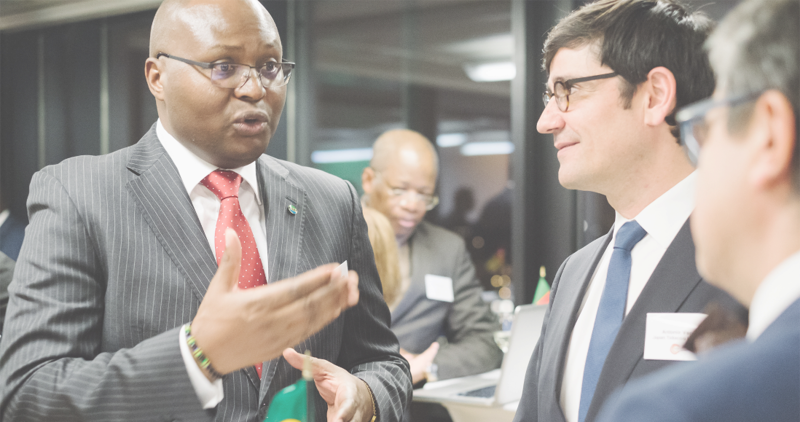 Representation of the interests of members towards Swiss public authorities and other organisations engaged in Swiss-African affairs. >> African e-commerce investment must continue when the Jumia party stops >> Bayelsa State: building a thriving healthcare system >> The 100 most influential Africans (91-100) >> Warmate Jones Idikio: ‘People tell me that soon crude oil will be useless’ >> Will Kenya’s Central Bank Governor rescue Spire Bank? Copyrights © 2017. Swiss Africa Business Circle All Rights Reserved.